Atlanta has always been a literary city, immortalized in the pages of Gone with the Wind and A Man in Full. But the literary scene isn’t just confined to old novels. Our independent bookstores have been bringing community events and big-name authors to town for decades. 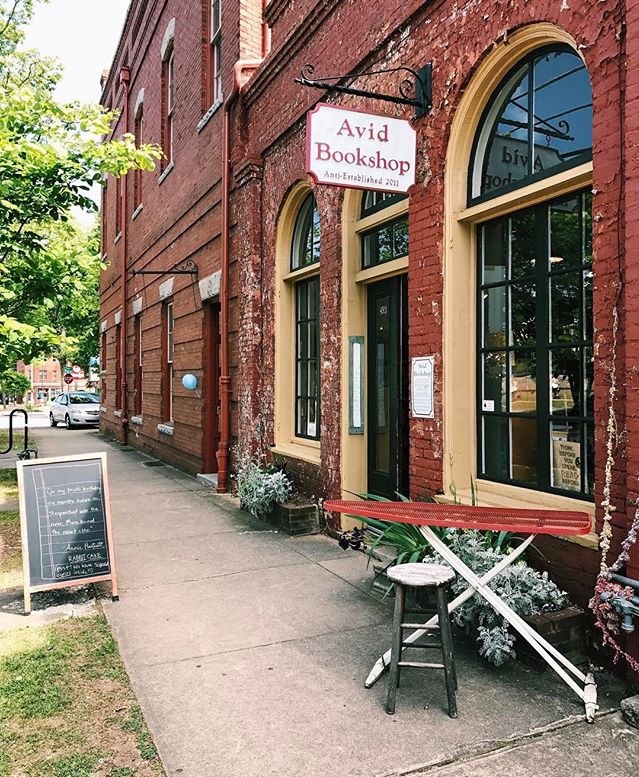 In honor of Independent Bookstore Day, here are five local shops to celebrate at. If you’ve ever been to a reading in Atlanta, from cult favorites like Gary Shteyngart to locals like Hannah Palmer, it’s probably because this store hosted it. Owner Frank Reiss opened the first A Cappella location in Little Five Points in 1989, but today you’ll find its stellar selection of rare books and often-signed new releases in a cozy Inman Park storefront. The South’s oldest feminist bookstore is located right in the heart of Little Five Points in an inviting purple house. Since 1974, the space has been a home for feminist and cultural studies books, plus LGBTQ fiction and nonfiction. Its mission is more than just words, though; in 1996 Charis also created Charis Circle, a nonprofit that hosts readings featuring marginalized voices, open mics, and trans youth groups. The city’s only children’s bookstore has grown to be a nucleus for the annual AJC Decatur Book Festival, but it hosts events all year-round in its newly expanded space on the Decatur Square. The store has such a reputation for readings that local and national authors are drawn to it, from Atlanta-based YA favorite Becky Albertalli to Happy Days star and kids’ book author Henry Winkler. Also check out the release parties, join a book club for young (middle-grade graphic novel) and adult readers alike (poetry & wine), or try to get a space for your kid the popular camp. This Decatur store is the place to go if you want new but especially used books—more than a mile of them. It’s also a hub for more than 200 local author events across all genres every year, hosting everyone from Mary Kay Andrews to Chipper Jones. The Athens indie has only been open on Prince Avenue since 2011, but owner Janet Geddis’s store has been so successful that she opened a second location in Athens’s Five Points neighborhood last fall. Find a curated selection of fiction, nonfiction, and gifts at both stores, but the original store hosts readings that attract some national authors you won’t see in Atlanta, such as an upcoming David Sedaris reading. If you can’t make the drive, Avid runs a book subscription, where booksellers mail you a new novel every month based on your personal tastes.